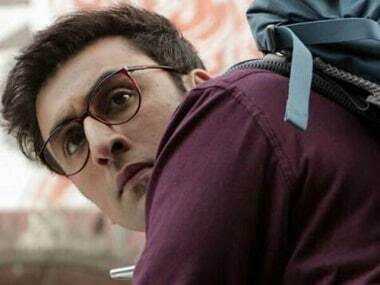 The Jagga Jasoos 'jinx' is not the only concern that Ranbir Kapoor has as regards his career. Besides the Anurag Basu romantic comedy adventure, two of his other films are also facing delays — and not because of each other. He is currently shooting for Rajkumar Hirani's biopic of Sanjay Dutt for which he has bulked up and grown out his hair to look the part. That is exactly why he could not shoot for a promotional song of Jagga Jasoos which has already faced months of delay owing to his rocky relationship with co-star Katrina Kaif. 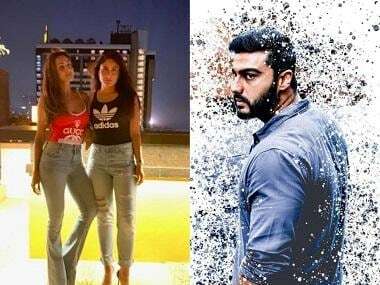 However, the Dutt biopic is also facing minor delays as it is extremely difficult to shoot the film in the midst of the city and at the same time keeping Kapoor's look from the film under the wraps. Hirani has expressed his disappointment with the paparazzi who leaked Kapoor's looks from the sets. Now, Kapoor's next after the Dutt biopic, Ayan Mukerji's supernatural film Dragon is also facing a similar fate. India.com reports that Kapoor had already started preparing for the film under a martial arts expert in late last year as the film was scheduled to go on floors in February this year. But then it was pushed to October which left Alia Bhatt, the leading lady of the film, in a soup as she had six months to spare after the release of Shashank Khaitan's romantic comedy Badrinath Ki Dulhania before she could start shooting for Dragon. Now, matters have gotten worse as DNA reports that Mukerji is still developing the script and is not completely satisfied with it. With Kapoor occupied with the Dutt biopic, Mukerji will take advantage of the extended period to lock in his script. On the other hand, Bhatt is likely to start with Meghna Gulzar's thriller that she signed a few weeks ago.